Iguazu Falls (Spanish: Cataratas del Iguazú; Portuguese: Cataratas do Iguaçu) sit on the border of Argentina and Brazil. 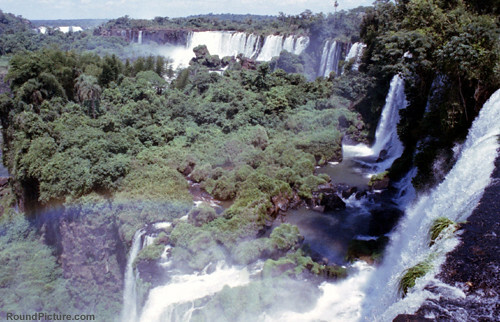 The area is protected as both national parks and UNESCO World Heritage Sites. 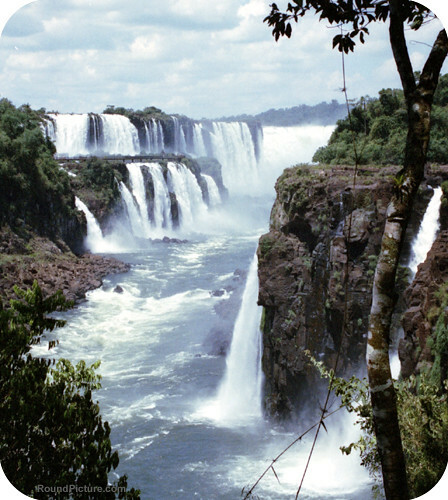 You can see the waterfalls better in El Parque Nacional Iguazú (The Iguazú National Park, Argentina), so that is what I will describe in this post. 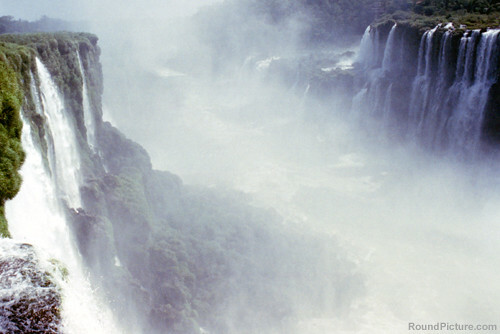 The Brazilian counterpart is called O Parque Nacional do Iguaçu (The Iguaçu National Park, Brazil). There are buses to El Parque Nacional Iguazú from the border cities close-by: Puerto Iguazú, Argentina and Foz do Iguaçu, Brazil. The park entry costs 60 Argentine pesos (around USD 20). After the main gate, you walk to the free mini train. If you arrive at the park during the peak tourist bus arrival hour (9:30 – 10:30 a.m.), you will be joining at the back of a very long queue. Estación Garganta del Diablo – To see the main attraction of the park: La Garganta del Diablo (The Devil’s Throat). Estación Paseo Superior – To see other interesting waterfalls. After getting off at the (final) station Estación Garganta del Diablo, you will walk along a series of footbridges over the Iguazu River to reach La Garganta del Diablo, the symbol of Cataratas del Iguazú. It is a breathtaking sight. You get dizzy staring at the massive white curtain of water ceaselessly freefall then disappear into the oblivion of spray in the middle, deep down below. 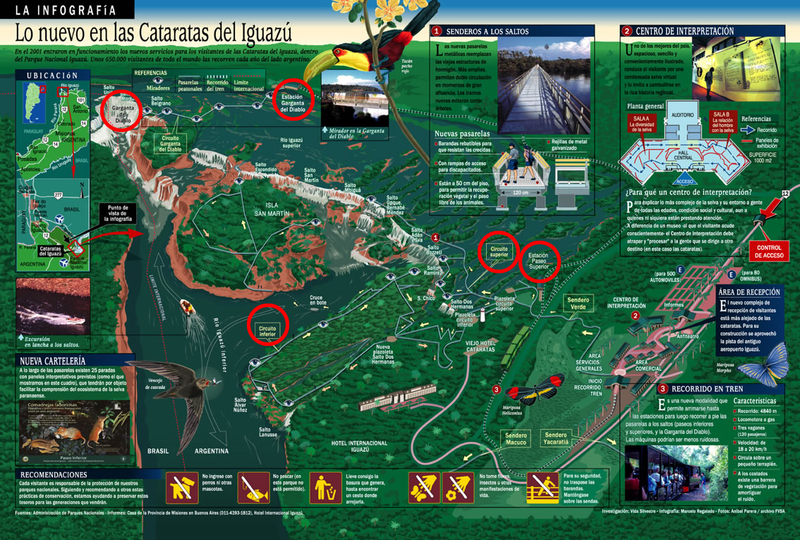 The visit to the park is far from over after seeing La Garganta del Diablo. Take the mini train back to Estación Paseo Superior. 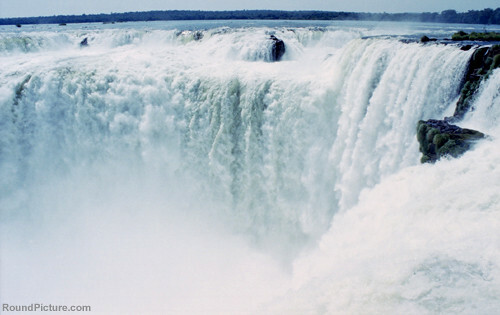 Circuito Inferior (the Lower Circuit) has views of many more impressive waterfalls, including the nearest Salto Dos Hermanas, Salto San Martín, Salto Mbigua and Salto Bernabé Mendez. The circuit includes a free 5 minute boat ride across to Isla San Martín (San Martin Island). It is possible to go for a dip in the river if you are desperate for some relief on a hot day. Boat tours to the bottom of La Garganta del Diablo also leave from here. 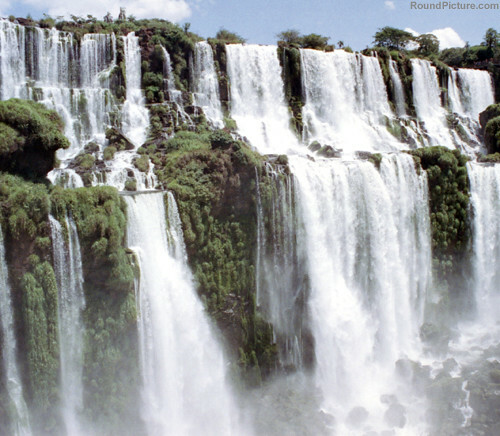 Circuito Superior (the Upper Circuit) has you walking over some of the waterfalls. There are plenty to see in the park and it can be exhausting to see them all on a hot day, so pace yourself. Food and drinks are sold in the park but only sporadically, so I would recommend you to bring some water and snack.